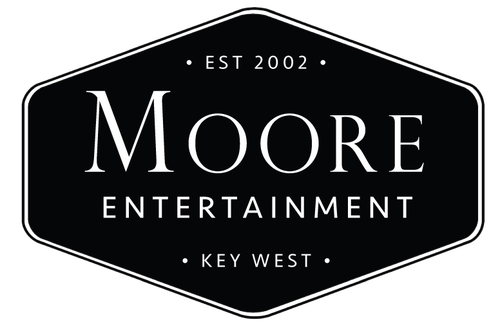 Welcome to Moore Entertainment - For all your special event needs! We provide assistance with your music selections and make suggestions. We provide a wireless microphone for the toast. 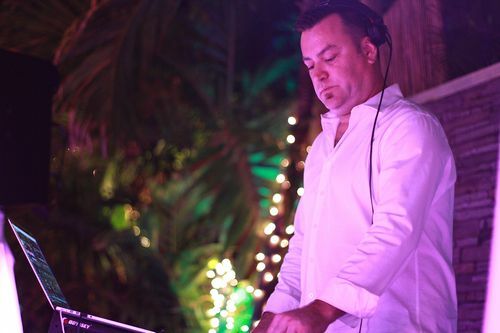 The DJ will arrive two hours before the first guest arrives. 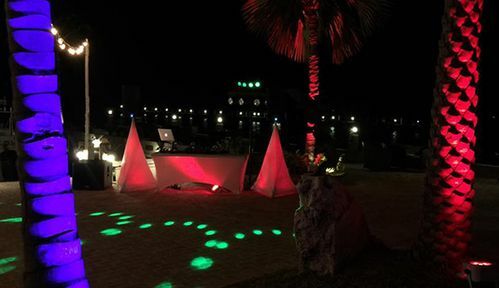 When the first guest arrives, your music will be playing and your DJ will be ready to go. We will make all your wedding reception announcements.  This includes introduction of the bridal party, bride & groom cake cutting and more if needed. We provide up to 1 hour of service. Wireless speaker with wireless lavaliere microphone. 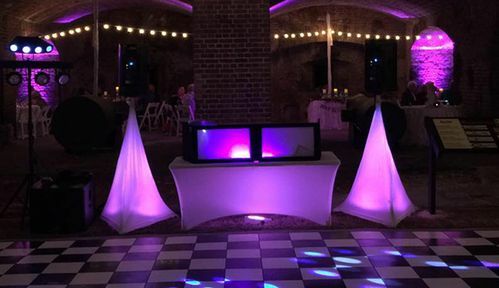 We use only the best in dance floor lighting from LED movers to color changing water effects to set the mood in the room or on the floor. 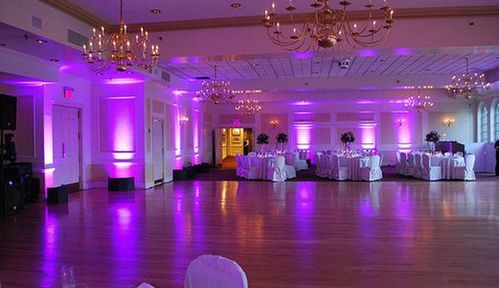 We also provide Additional LED Up lighting to accent any walls/trees to match your color scheme for your event. We use only All new top of the line equipment for the Best Sound, including two high quality QSC loud speakers and a 18 inch QSC sub woofer. 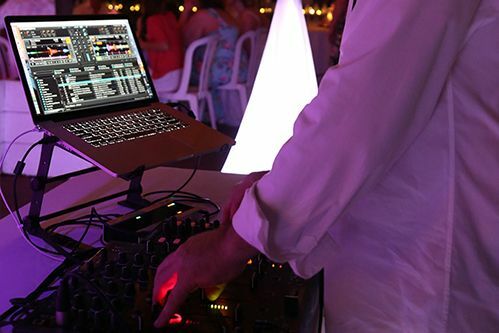 Your party is sure to sound the Best Imaginable! Ask about our 100” projector screen for picture viewing or monograms! personable and knowledgeable with music, I will make sure from the first song played to the last, you will leave your party saying "Wow he really made our day". 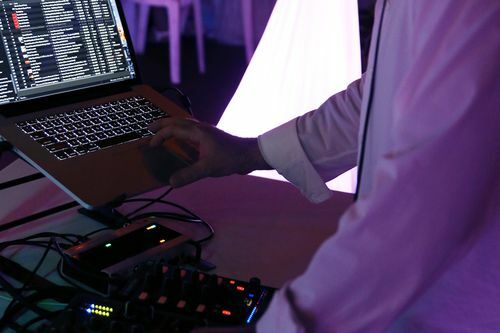 huge impact on the success of you're wedding, event or party. 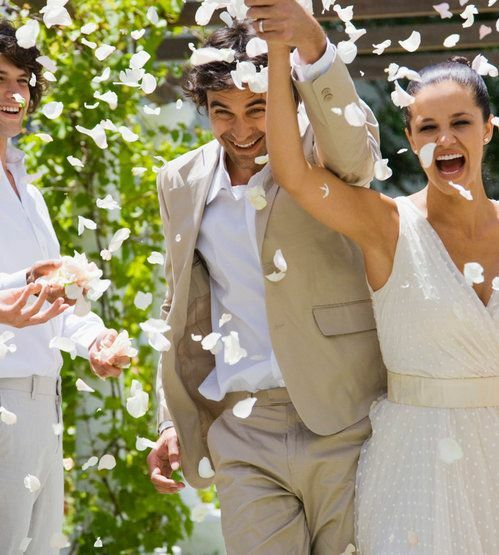 played to the last, you will leave your party saying "Wow he really made our day". We play music to suit your every need. EDM, Lounge, Deep House, House, Progressive House, Tech House, Electro House, you name it! 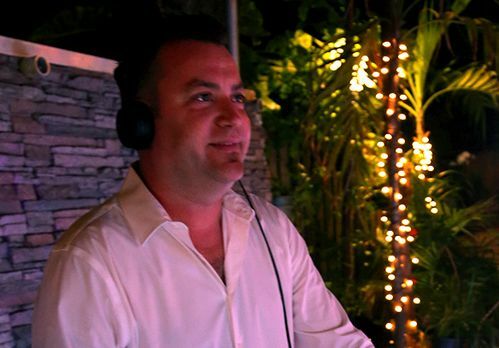 Key West's full service wedding & events DJ, with over 15 years of experience. 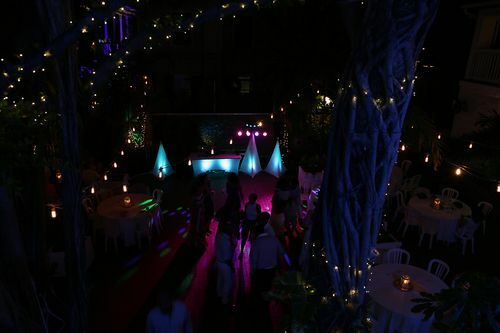 Committed to making your special event one to be remembered for years to come.